Yippee ki yay, board game players! 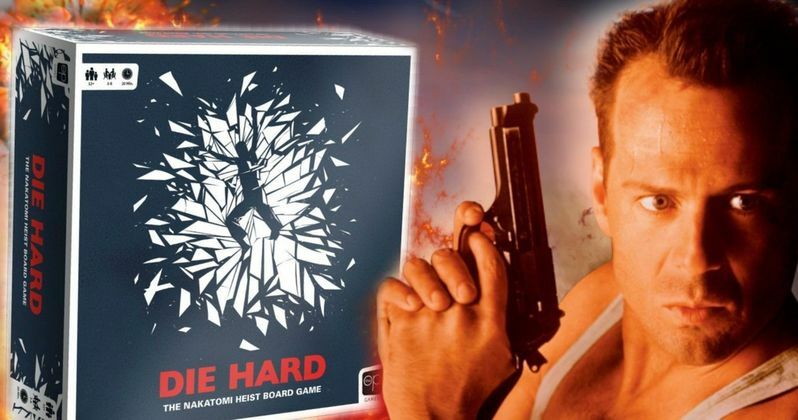 The first ever official Die Hard board game is coming our way later this year. The OP, aka USAOpoly, has officially announced a new deal with Fox Consumer Products, which will yield a brand new tabletop game based on the Bruce Willis 1988 action classic titled Die Hard: The Nakatomi Heist Board Game. The OP has worked with Fox in the past and some of their games include Telestrations and Blank Slate, as well as licensed games such as Thanos Rising: Avengers Infinity War and Harry Potter: Hogwarts Battle. In this case, they're bringing John McClane to the party for what sounds like a very faithful way to continue the franchise in another medium. Pat Marino, Lead Game Designer, USAopoly, had this to say about it in a statement. "Die Hard's influence over the action-thriller genre is staggering, so we were beyond excited for the opportunity to harness the movie's expert blend of action, intelligence and drama into a unique tabletop experience. We are developing a game that will deeply resonate with Die Hard enthusiasts, incorporating even the slightest details to create a rich and entertaining experience that properly pays tribute to arguably the greatest action movie of all time." Die Hard: The Nakatomi Heist Board Game will utilize a "one-versus-many" gameplay style, that pits John McClane against others, who will play as thieves cooperating to foil his plan to save the hostages in Nakatomi Plaza. The game will include homages to the 1988 classic, with callbacks to some of the movie's most memorable scenes, characters, and events, according to the company's press release. Federico San Martin, Vice President of Global Toys and Hardlines, 20th Century Fox Consumer Products, had this to say. Related: What Are the Best and Worst Rated Christmas Movies of All Time? "The Die Hard board game from USAopoly provides an engaging touch point for fans seeking a nostalgic trip back to Nakatomi Tower and, three decades after the film's release, allows a new generation of fans to play a unique game experience showcasing this incredible property." The Die Hard franchise has been stagnant for several years now, with talk of a prequel/sequel hybrid taking place over the last couple of years, but nothing has materialized as of yet. Board games, meanwhile, have become increasingly popular in recent years. That has led companies such as The OP to look at Hollywood for inspiration. The Thing, Teenage Mutant Ninja Turtles, Jurassic Park and many more titles have been given new tabletop games over the last handful of years, with varying degrees of success and quality. This will at least give fans something new to look forward to in the near future. The company has yet to announce an official release date for the game, but they promise it will be available this spring. They did, however, reveal the cover art, which artistically showcases John McClane falling through some broken glass. We've included the still version of the art, as well as a motion version from The OP Twitter account below.